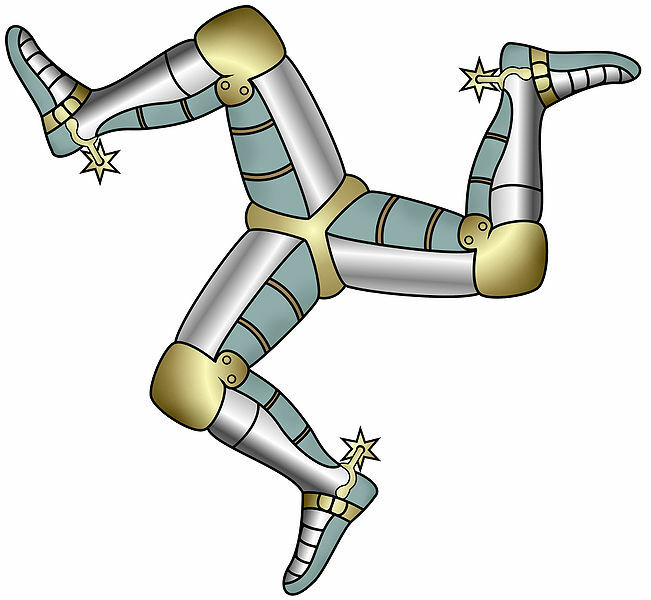 The Isle of Man boast the oldest Parliament in the world, with the Tynwald being formed in 979, and sitting continuously ever since. The island is now self governing, but under ultimate governance from the UK government in London. The island is not formally part of the EU, or the Commonwealth, but EU citizens are allowed to live on the island, and the island takes part in the Commonwealth Games by virtue of its relationship with the UK. The Triskelion emblem traces its roots all the way back to the Celtic Triskele symbol, formed of 3 spirals connected in the centre. 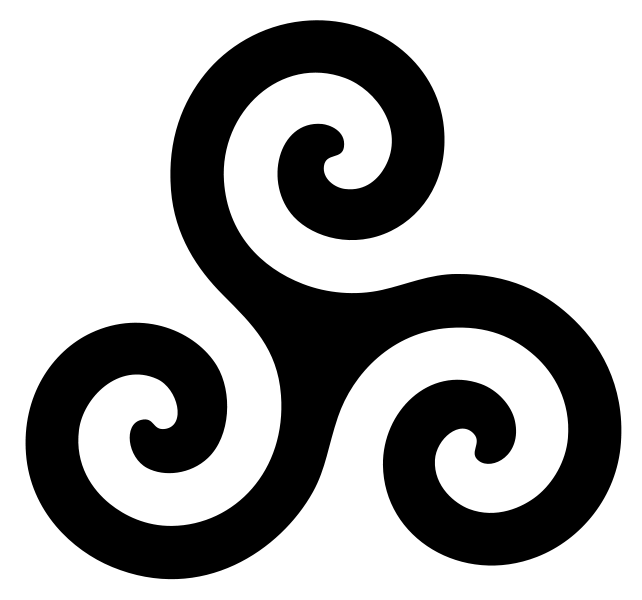 A myth about the Triskelion comes from an ancient legend, when the Manannan (a sea creature) transformed into a wheel of three legs, and repelled an invasion by rolling down the hill. The flag itself is based on the ancient coat of arms from the last recognized Norse King of the Isle of Man, Magnus III. The flag itself is a simple red banner featuring 3 legs from suits of armour, joined at the top of the thigh, and bent at the knee. The legs run clockwise, and in order to maintain this, a two-sided flag is used. 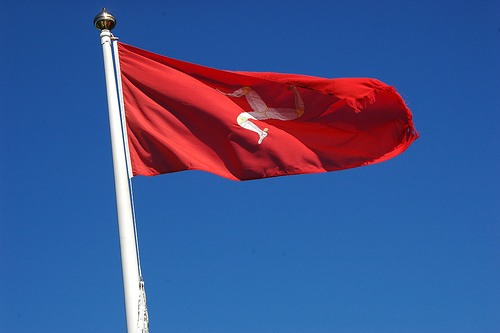 The Isle of Man placed the symbol on a Red Ensign for Manx ships at sea, only to discontinue the flag in 1935. The Ensign was then reinstated in 1971!